Stefan specialises in issues of attachment and intimacy, complex traumatic stress and addiction/compulsivity; issues that are often rooted in unresolved childhood trauma. He has a wealth of experience working with dysfunctional relationships, fidelity, sexual addictions, compulsivity, and divorce. Having studied on the prestigious counselling psychology Masters programme at San Diego State University, Stefan went on to train as a systemic psychotherapist, specialising in Couples Counselling and Family Therapy. 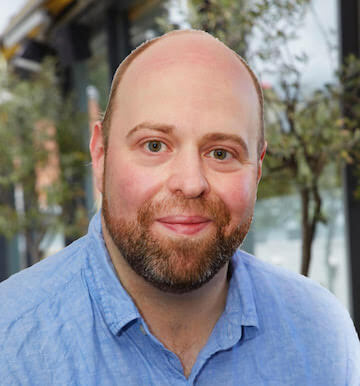 Stefan is a fully trained Emotionally Focused Therapist (EFT) and supervisor and is one of the few counsellors in the UK that can offer this therapeutic approach. This empirically supported approach has evolved out of emotion and attachment theory, and views emotions as centrally important in our behaviour, teaching us to better identify and make sense of our emotions so that we will be better able to manage our emotional experiences in the future. Stefan also has specialised training in narrative therapy, motivational interviewing, gestalt therapy, Bowenian therapy, and cognitive behavioural therapy, and is experienced in applying these therapies to a number of issues such as bereavement, anger management, mood disorders, trauma, addictions, anxiety, and depression. Stefan also works with a dual attunement framework - both relational and somatic; working with the client's neurophysiology - and is a trained Brainspotting practitioner. Stefan has an interest in social and restorative justice. He is a graduate member of the British Psychological Society (BPS), a member of the British Association for Counselling and Psychotherapy (BACP), as well as being a member of the Association for Family Therapy (AFT), the British Emotionally Focused Therapy (BEFT) Centre, and Brainspotting UK. He also continues to be a registered member of both the Californian and American Associations for Marriage and Family Therapy, and the Restorative Justice Mediation Program.